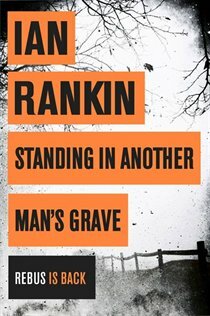 Standing In another Man’s Grave, written by Ian Rankin, will have your loved ones sitting on the edge of their seats this holiday season. This action packed 352 page book combines an action packed story about murder and crime with riveting mobster appeal. This is the twenty-fifth anniversary of the appearance of Rankin’s character; John Rebus, and the excitement never seems to cease. From the depths of Rankin’s thrilling imagination comes a novel that is bursting with suspense. In Standing in Another Man’s Grave, John Rebus returns to investigate the disappearance of three women that occurred over a ten year span. Their seemingly unconnected fates seems just a little too coincidental for Rebus liking, and as the truth begins to unfold, Rebus finds that his own life is suddenly on the line. Order your copy of Standing in Another Man’s Grave this holiday season and join John Rebus on his journey through unspoken territory. This hard cover book would make an excellent gift for that adventure seeker on your Christmas list.